Personal Statement: I am a general internist and clinical researcher, and I am devoted to improving quality and equity in the health care and health of people affected by chronic illnesses such as chronic kidney disease, hypertension, and cardiovascular disease. I have spent much of my research career studying kidney disease, including the challenges patients with kidney disease and their families face with their health and making choices about their treatments. My colleagues and I have developed educational materials and new models of care to help patients and their families make informed treatment choices that are well aligned with their personal values. 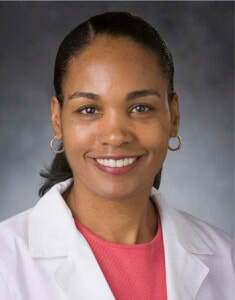 I work at Duke University School of Medicine where I am the Chief of the Division of General Internal Medicine and Associate Dean for Clinical and Translational Science. Hobbies/Interests: Cooking; reading; hanging out at the beach; spending time with my children. Why this project is important to me: This study is important to me because it will help us identify real world solutions to the long-standing difficulties patients and their families have faced with being adequately educated and prepared for kidney disease treatments.